Scribed for future reference ... GREAT write up! i used a trail gear rear disc kit, and a 1" bore mc. 2 years and about 10k miles later, i'm happy with how everything works. along with the v6 front calipers/rotors i have strong brakes. just have to install my proportioning valve and an allpro tc e-brake. to the OP good write up. should be sticky. I took a bunch of measurements and I'm having custom brackets made up to use them... so far this seems like a much better solution than Monte Carlo calipers: better clearance, cheaper parts, no modifications to the calipers or rotors needed, and they're more appropriately sized for rear brakes on a vehicle this size so I'd be willing to bet I wont need a proportioning valve either. if I can find some backing plates I might be able to figure out the viability of getting the montero ebrakes working with this as well. If anyone is interested I'll be selling my Sky/Monte-Caro setup since I no longer have need of it. Last edited by twistedsymphony; 09-18-2012 at 10:13 AM. I' very interested in the details when you get this finished! Could you run the same caliper on the rear as.you have onthe front? 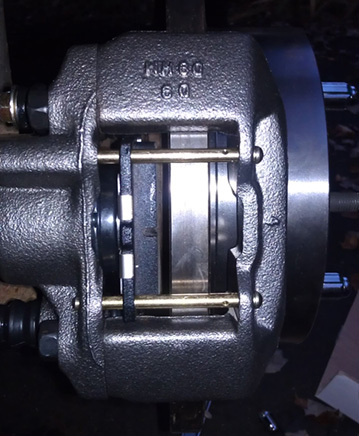 There are kits to do that, however the front rotors mount behind the hub, which places a majority of the caliper outside of the wheel. using similar rotors on the rear would place the caliper almost entirely inside the wheel, and with a tapered inner diameter I would likely run into the same clearance issues. not to mention brakes that size are way overkill for the rear and would screw up the bias. twistedsymphony, did you sell that second Sky disc kit? I have an '86 4by x-cab that may eventually be in need. Hope you get the wheel fitting problens resolved. Interesting about the Montero compatibility. Let us know how that works out for you. One thing I did notice about my rear discs is that, even with my proportioning valve backed completely off, the back wheels lock up a bit before the fronts. That's not right, especially driving in snow as much as I do. I'm also experiencing front discs rubbing on the rotors and think it may be time for a new master cylinder (having never replaced it on this 28 year old truck). I still have the sky kit, the calipers are still hooked up because I didn't want to disconnect the lines until I was ready to install the Montero calipers. It just so happens that I have a brand new master cylinder too (I bought it thinking I needed one only to find out I already had the larger bore M/C). 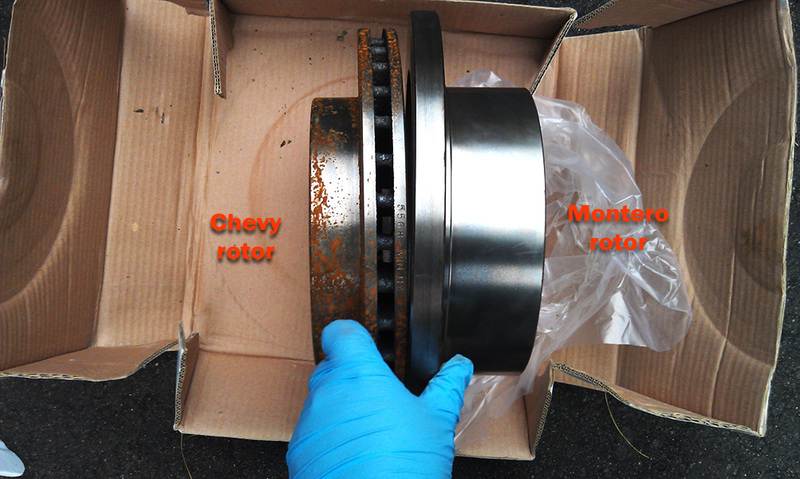 All this stuff is brand new, although the rotors have developed a little surface rust having been exposed to the rain. As for the montero calipers, the first bracket design didn't quite work but it was very close. I hope to have my new design machined within a week or two and we'll see how that goes. The next few days I'll be working out the lines. Unfortunately the caliper is too far towards the inside of the vehicle, as you can see the inside pad is installed and there is quite a bit of gap, there also isn't enough room for the outside pad to be installed, even with the caliper at the limit of the sliders. Last edited by twistedsymphony; 11-27-2012 at 05:39 AM. Checked the link - nice work. Persistence often required. I'm interested if/when you decide to get rid of the Sky kit. E-brake will be accomplished with a good ole line lock like a good drag racer - on the front axle!! I'm gonna start this tomorrow! Why couldn't you use runner or Tacoma or tundra or chevy parts, rotors and calipers? So, if you've got all your parts and beer in the fridge, is this a good solid weekend project or a knock down dragged out month long project? I'm probably going to do an axle swap with i, that I'm sure will be a good 3 days, so maybe I'll just get the brake components on that and ready to rip, then just connect all the crap when the axle gets hung. Thoughts? Prayers? T4Rguy, I'm in the process of restoring my 1983 Pickup and went with a rear conversion as well. Here's the rundown of how long it would have taken me if I did it all at once and wasn't distracted by a wife and one-year-old. It could easily take a day if you aren't cleaning parts and waiting for paint to dry, but 3 days is tops. 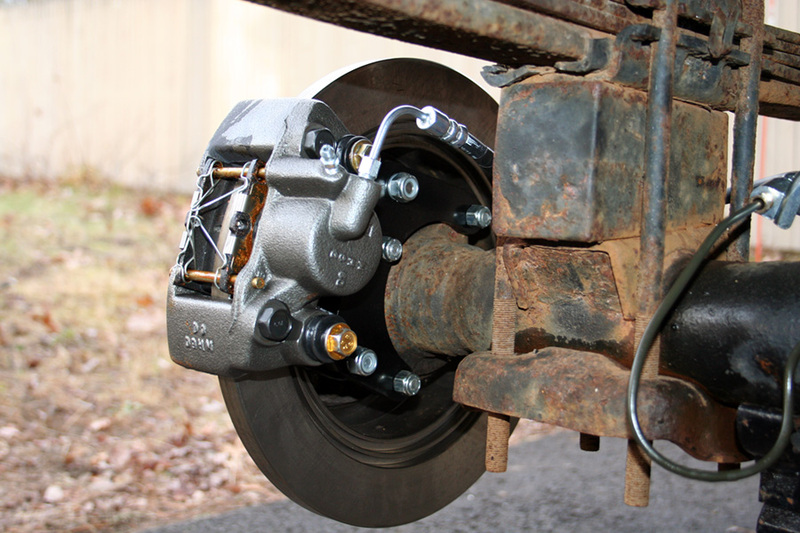 1979-1995 4runner & Truck rear disc brake brackets!! CNC plasma cut Toyota rear disc brake brackets!! Cut outta 1/4" mild steele plate!! FITS all 1979-1995 Toyota 4Runners and hilux Trucks!! Lower 48 States & across CANADA with a tracking number!! You can use IFS, Tacoma, Pre-1985 calipers and rotor combinations!! Last edited by viaduct09; 07-21-2013 at 06:17 PM. Highly interested do you have pics of this. What kind if modifications is required to use stock 95 ifs rotors and calibers? Once the e-brake backing plate is cut off...likely have to grind down the outter axle shaft (wheel stud side) a couple of thousandths with a grinder...too slide what ever Toyota rotor you choose to run with!! 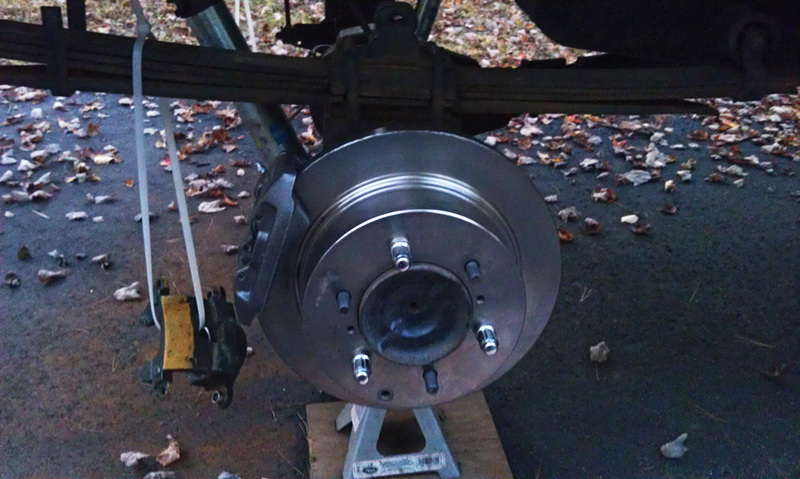 Here's a link to a post of a successful rear disc brake conversion on a 88' 4Runner!! 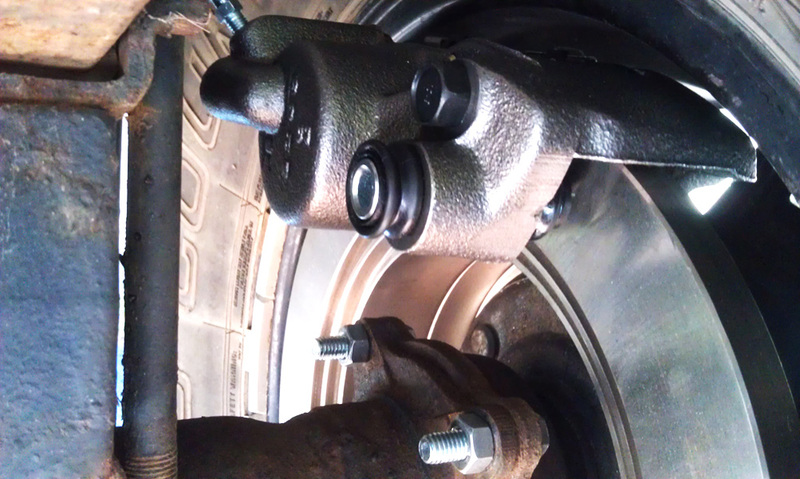 He used 1997 Tacoma rotors & Pre-1995 calipers!! Last edited by viaduct09; 08-22-2014 at 04:42 PM.